It seems Democrats will starve children—even children of fellow Democrats—in order to keep an unsecured border in place, hence ensuring a more dangerous nation. This is being proven this very minute and the facts are indisputable. But think on it for half a second. It’s a reasonable question to ask. We are now into the longest, most protracted government shutdown of the modern era and talk radio, social media, & cable news are playing out the debate in increasingly strident contrast. It doesn’t matter the network, the channel, or the host, every show has the same entrenched battle lines firmly drawn. There is no variance. There is zero compromise. These are the battle lines, and the two sides are dug in. The sad thing is we’ve seen very little—if any—polling of the American people as to which they wish to see happen first. Last week I was able to see the results of a single poll that claimed 79% of the American people view the border as an urgent priority, posing a dangerous crisis to the America. Yet because the pollsters did not use the terms “emergency, wall, shutdown, or funding” the media largely ignored the outcome. On my show last night I asked America with the promise of just aggregating their replies (in other words not verbally opining on their answers but rather - for the sake of maximum engagement merely allowing them to state their choice.) to tell me their preference: reopen government or fund the border. In our unofficial poll the results run 83% in favor of funding the border first. And I think I know why. Democrats are proving that they would rather starve their own, than protect the nation. It’s a truly harsh observation to verbally admit. Many government workers—especially “non-essential workers”—are Democratic voters. They take the jobs because they are Democrats. They often have a near impossible chance of ever being fired and in a Democrat’s mind this type of job security is the greatest reason to have said job. Republicans seldom think in such a fashion. When they look for a job they are looking for earning potential, and opportunity for growth. It’s not that they want to get fired, they just generally believe that such a guarantee makes for a pretty inefficient and largely unmotivated work environment. Anybody that has ever been to a government office or agency knows that this is true. So understanding that this shutdown hurts Democratic voters most is reality and what’s actually happening here creates an even clearer picture of what things mean. If President Trump gives in, allows the government to re-open, and allows yet another delay in securing the border, America continues to lose. We lose our streets and our children to fentanyl, crack, and heroin. And more families like that of Ronil Singh lose their father and husband to killers who roam sanctuary cities and states. Public resources are swallowed up so more hospitals and schools become overwhelmed. Diseases we haven’t seen in decades begin to infiltrate our population. The chaos breeds destruction. But it’s vital to recognize what not giving in also means. For the president, he is keeping his word. Protecting America, protecting Americans and finishing the job started in 1989, the job Democrats voted in unanimous support of to the tune of $40 billion dollars under President Obama. 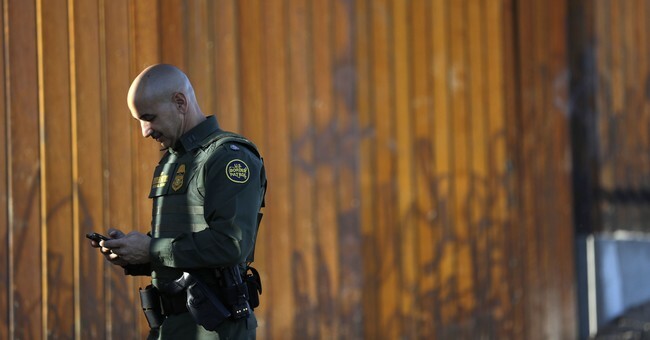 For the Democrats to not give in it means they chose not only to leave America vulnerable on the southern border, not only to further allow that unfettered flow of drugs, MS-13, and terrorists, not only for such conditions to pose harm to Americans, but they are willing to starve fellow Americans to see it all happen. The president is dealing from a position of moral, cultural, national, and compassionate strength. The Democrats are dealing from a strategy theory that wants to attempt to prevent the President from keeping his number one campaign promise. Strangely their obtuse obstruction now strengthens his hand for 2020, but they are so blinded by the idea of stopping him that they’ve lost any sense of the big picture. All one needs to know to understand the difference in the moral question of this crisis versus the partisan talking points is to know one simple truth. Democrats are willing to starve Americans, in order to prevent the president from being able to protect them.